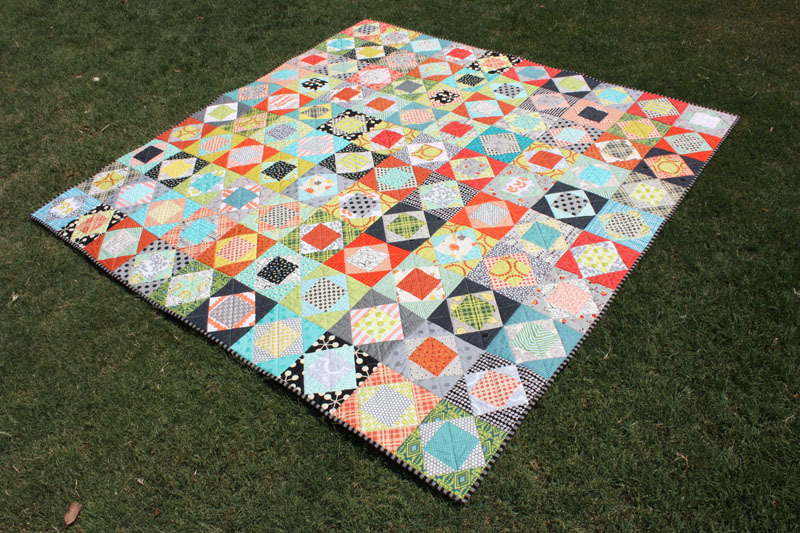 I have finished my economyblockalaong quilt! Just in time as I have to give it away on Sunday. I choose a colour palette to match my Brother and Sister in Law's loungeroom. They have a light neutral sofa and a gorgeous black and white rug. I hope they will like it as much as I do. 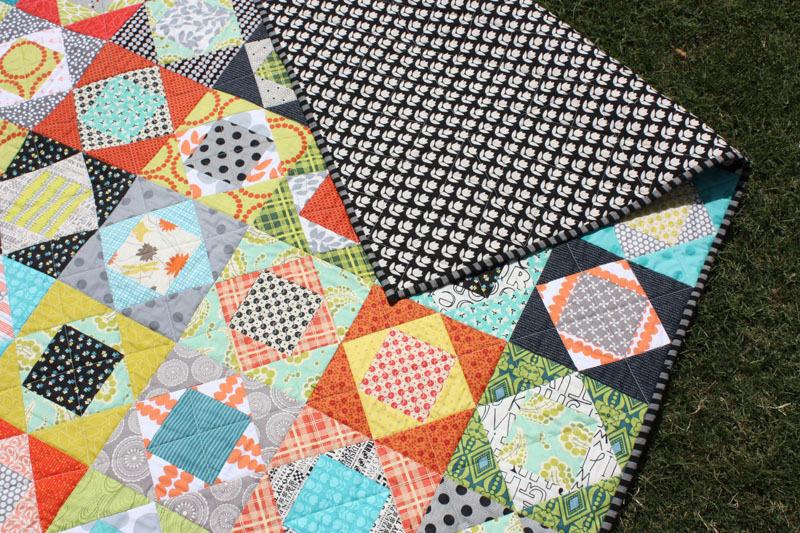 There is a tutorial for this block on Red Pepper Quilt's blog. I made 8" finished blocks with a total of 100. The finished quilt size measures 80" square. There is also a flickr group that has been set up, you can see that here. Also see the hashtag #economyblockalong on Instagram for ideas and inspiration.